At the conference in 2016, we ran two series of Community Talks over the lunch period. A lightning talk is a very short presentation lasting only a few minutes. Over the lunchtime, on the Saturday and Sunday, we invited our community of photographers to talk about a project they are working on or an idea. Our host for the talks David Ward, introduces each of the speakers and if they run over the 10 minutes.....watch out for the nerf gun! Despite (or maybe because of) spending her formative years in the concrete jungles of the Far East, large format black & white landscape photographer Karen Thurman fell profoundly in love with Mother Nature and now uses photography to encourage people towards reverence for her. Inveterate nomad and camper, Karen is most likely to be found in one of two places: in her tent or in her beloved darkroom developing and printing images of the forests and woodlands that are so magical to her. Read our interview with Karen or visit her website. Karen talked about getting a photographic project from a germ of an idea to an exhibition. Alastair is a non-award winning photographer based in Sheffield on the edge of the Peak District in England. I tend towards landscape, environmental and nature photography in what I do, but have been known from time to time to dabble in street photography. Visit Alastair's website. 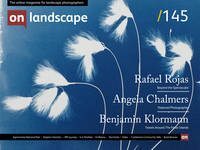 Alastair is also a contributor to On Landscape. Colin is first and foremost a lover of the landscape and in particular, the Lake District, being a regular visitor over 30 years. The inspiration for Colin’s photography derives from his connection with the landscape itself, a photographer of the ‘place’ more than the ‘location’. His work at Thirlmere, Delamere Forest and Holme Fell reveals the developing narrative of the land and how nature strives to meliorate the open wounds left by our intervention. Seeing beyond the obvious is important to Colin and so he allows repetition of visits and the passing of time to reveal both the intimate and wider scenes that are typical of his photography. Visit Colin's website.